Are you looking for great German Shepherd Puppy Pictures? Then you're in the right place! Because you can find loads of great German Shepherd pictures, of both puppies and adult dogs, all throughout this website. And the purpose of this page is even more specific. What do I mean? Well, because this page allows you, as a German Shepherd owner, to not only look at other adorable German Shepherd puppy pics, but also the chance to upload your own pictures of your own German Shepherd puppy and the ability to tell us all about your own little furry friend. Come on guys, now is your time to brag a little even about your own German Shepherd puppy. It's okay - we all do it. And we all understand how "our German Shepherd" is the best one on the planet. And now is the perfect time to let us all in on your own special secret. 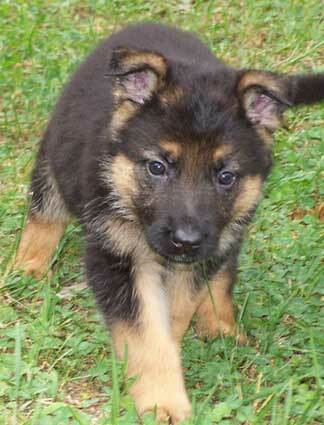 Plus you get the chance to have a whole web page dedicated to nothing but your very own German Shepherd puppy. And what German Shepherd owner wouldn't love that opportunity? 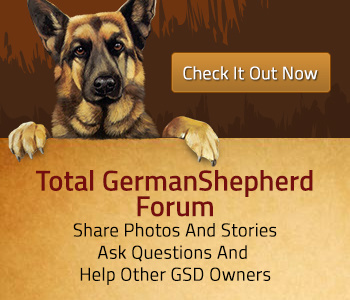 Keep in mind that this page is for "full blooded/purebred" German Shepherd puppy submissions only. So if you have a German Shepherd mix puppy or dog, we would love to hear about them too. Just use this page instead to tell us about your German Shepherd mix puppy or dog. Just fill out the form below, add your own German Shepherd puppy pictures, and click the Submit button when you're through. Voila! A new web page all about your German Shepherd puppy for the whole world to see. Be sure and tell your family and friends to come and visit. Plus they can leave comments too! My German Shepherd Puppy, Dakota "Kota"
This is titan at 3 months old, he is so loyal and friendly, couldn't ask for a better family member! SAMANTHA, NOW 1 YEAR OLD! This is Axel. Axel is a four and half month old german shepherd. He is great, he weighs about fifty pounds right now.